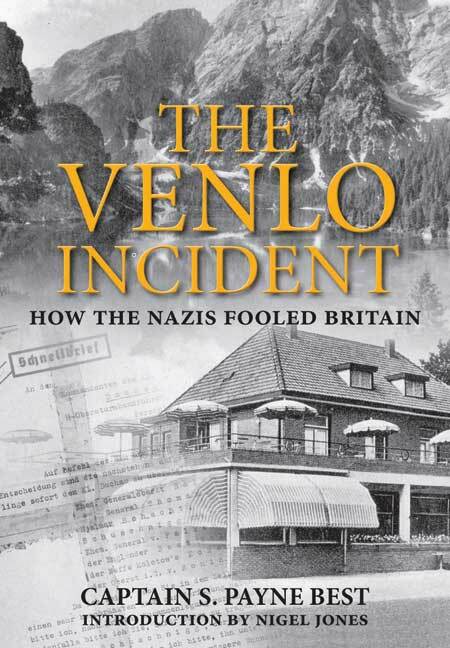 You'll be £19.99 closer to your next £10.00 credit when you purchase The Venlo Incident. What's this? Best had been trying to contact German officers plotting against Hitler. The Netherlands had been an ideal ground for operations, because of its proximity to Germany and the fact that Dutch Intelligence was badly funded. When Best met the three agents – including Walter Schellenberg – he was carrying with him a list of British agents who were working in Europe. hen he arrived at the café, which was just over the Dutch border, he realised he had walked into a trap. A Dutch intelligence officer who accompanied them, Dirk Klop, was fatally wounded. Best and Stevens were taken into Germany. After their Berlin interrogation and torture they were taken to the notorious Sachsenhausen concentration camp. Nigel Jones is a historian, journalist and biographer. A former deputy editor of History Today magazine and reviews editor of BBC History Magazine he has initiated and presented several BBC TV and radio documentaries. He writes and reviews regularly for The Times, Telegraph, Daily Mail and Literary Review. His latest book, Countdown to Valkyrie, has already proved a great success and has received commendations from public and the media alike. Nigel lives with his partner and three children in Sussex.